Is Rusev on the way out of WWE? Rusev, the former multi-time WWE United States Champion sent out a cryptic tweet via his Twitter handle today. The Bulgarian Brute teased leaving the wrestling promotion of Vince McMahon while replying to a fan on the micro-blogging site. WWE released a lot of talented superstars including Tye Dillinger and Hideo Itami a few weeks ago, while underused superstars like Dean Ambrose, the Revival, and Mike Kanellis, have asked for their releases from the company as well. Given that Rusev has indirectly hinted at his exit from the company, we may see his burial on WWE TV in the coming weeks. 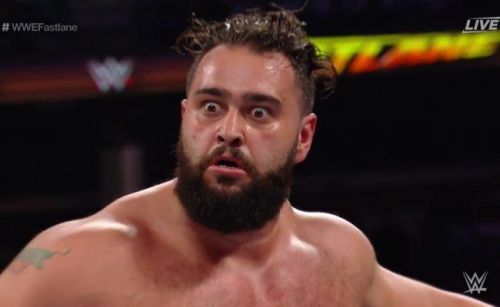 Currently, Rusev is involved in a tag team angle with the Japanese superstar, Shinsuke Nakamura, and they seem to be settling as the mid-card heels of the tag team division. They were present on the latest edition of SmackDown Live where they came out after the match between the Bar and the team of Ricochet and Aleister Black and attacked the faces. That Rusev is leaving the company is pure speculation, but here are the 3 reasons why the European superstar may seriously be thinking about his release. While Rusev may be the Bulgarian Brute on WWE TV, the European superstar is actually a very humorous person off TV. In case you do not know about Rusev's real-life nature, I would advise you to have a go through his tweets on Twitter. The sense of humor The Bulgarian Brute has is just phenomenal, and he can easily switch from a wrestler to a comedian on the big screen. Who knows, Rusev may even perform in Hollywood movies in the future. 5 Rusev Actions On SmackDown Live That Prove He Is A True "Bulgarian Brute"